Golf Cart Service can provide you with almost any accessory that is on the market today. Whether you are looking for a new set of wheels or a windshield we can get the part or piece in for you and install it if necessary. 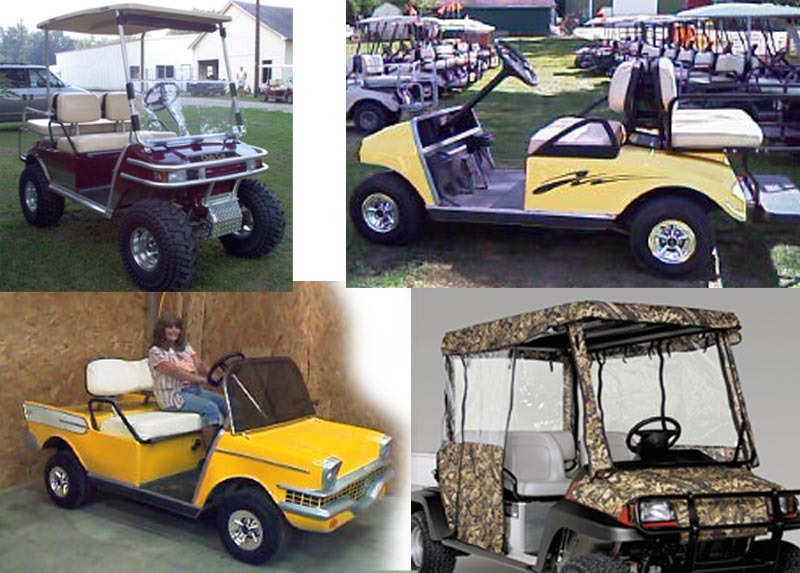 Golf cart customization is becoming more and more popular. We can add lift kits, new wheels, snow blades, seats.....the list goes on and on. Give us a call so we can make your golf cart stand out in the crowd.